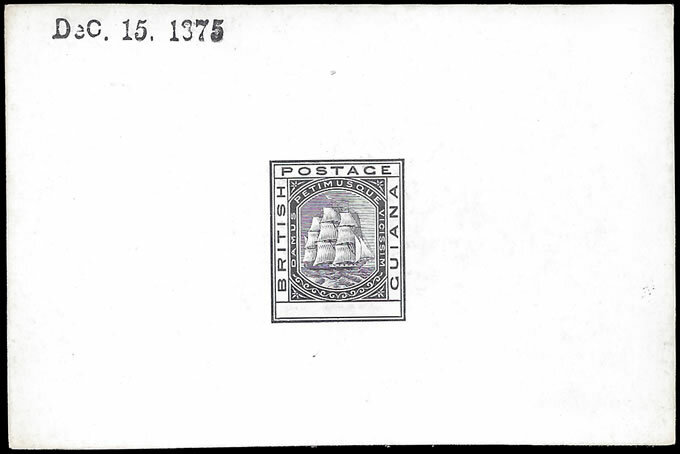 1876 MASTER DIE PROOF for the Ships definitive issue inscribed "Postage". Complete design (with blank value tablet) taken in black on glazed card dated "DEC 15 1875". A rare proof. Duplicate proof to that sold as Lot 1197 in the "Foxley" collection, Spink, London, July 2014.